As I watch Army and Navy renew college football’s greatest rivalry, I am renewing a Boa Beer Blog winter tradition: my annual winter beer 12-pack taste-off. This marks the fourth year that I’ve matched two mixed 12-packs in a beer-to-beer battle. The last three years have been dominated by the Sam Adams winter 12-pack, which defeated the Harpoon Wintry Mix in 2010 and Saranac 12 Beers of Winter in 2011 and 2012. Since the 2013 Sam Adams Winter Favorites mix-pack would easily defeat any challengers, I’m letting Sam sit this year out. 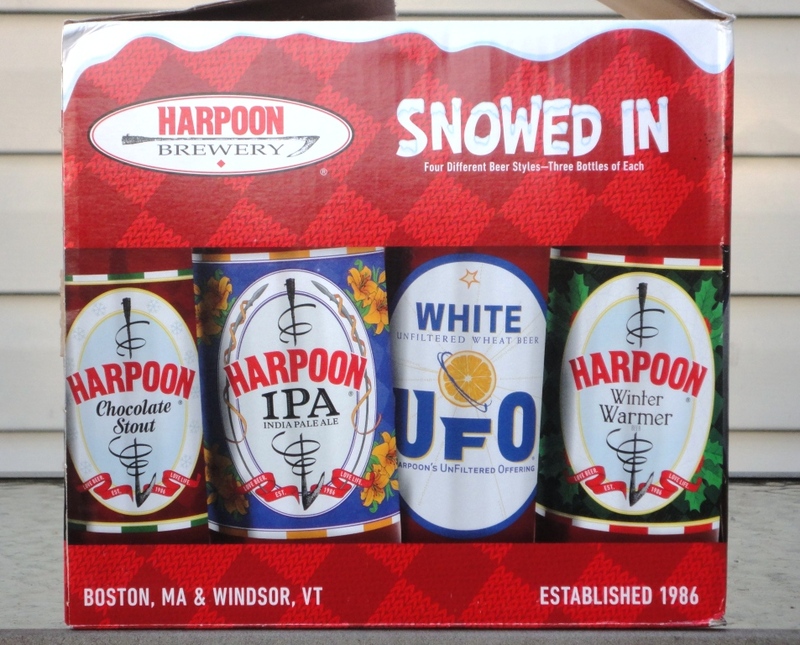 This winter brings back Harpoon Brewery from Boston, Massachusetts to battle newcomer Widmer Brothers from Portland, Oregon. Both 12-packs have two bottles of four different beers, and I matched them style-for-style over four rounds. In the war of wheat beers, Widmer’s Hefeweizen was no match for UFO White, a crisp and refreshing American White Ale. Widmer’s flagship beer is a solid American-style Hefeweizen, but UFO had a more distinct and delicious flavor. Round 1 goes to Harpoon. Going into this round I would have predicted another Harpoon win because I’ve drank a lot of Harpoon IPA and I always enjoy it. But Hopside Down wins this round — this India Pale Lager is aggressively hopped and has the clean finish of a Lager. I love hoppy brew and Hopside Down is more hop-forward than the well-balanced Harpoon IPA. Round 2 goes to Widmer and after two rounds we are tied 1-1. The battle between winter ales was difficult to judge, because Harpoon’s Winter Warmer is a holiday spice beer, and it’s hard to compare a spiced ale against a non-spiced ale. Fact is, I’m not a big fan of spiced ale, so I have to give the edge to Widmer’s Brrr in this match-up. Brrr has a bold hop flavor and sweet finish, and comes in strong at 7.2%. With one round to go, Widmer takes the lead 2-1. The final match-up pits two brews of completely different styles. Harpoon’s Chocolate Stout has a strong dark chocolate flavor while Widmer’s Alchemy Ale is a hoppy Pale Ale. Alchemy Ale is brewed with a delicious proprietary hop blend of choice hops from the Pacific Northwest. You know me, I love hops! So this round goes to Alchemy Ale. 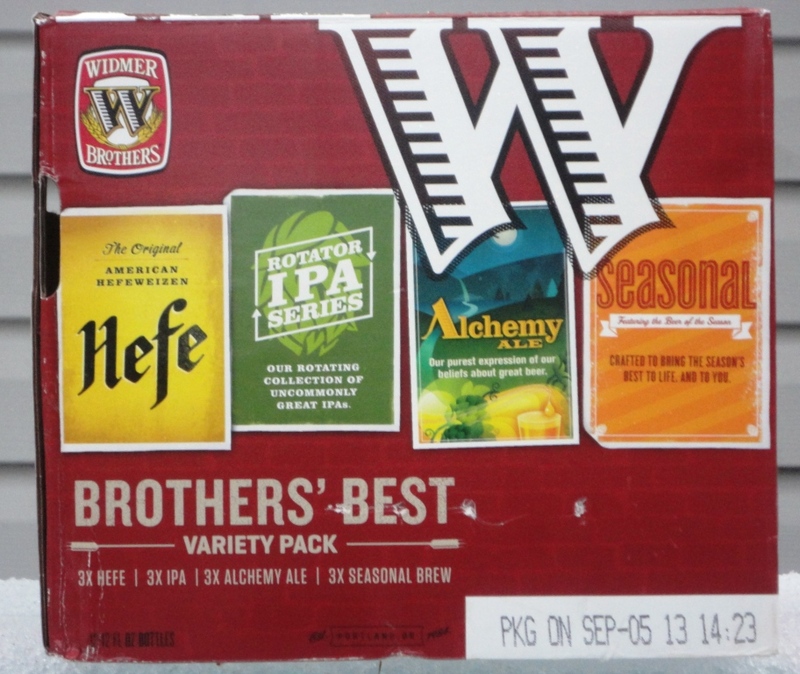 I love both of these winter 12-packs, but the winner of this 12-pack taste-off is Widmer Brother’s Best!